Flow is the experience of performing at a high level of skill when engaged with a high level of challenge. As seen in the graphic, skill and challenge can even be represented as an x-y axis, with the “flow channel” located to the upper right. Psychologically, a state of flow is characterized by a feeling of heightened pleasure or happiness. A person in flow is highly focused on what they are doing, to the point of being immersed or submersed in the activity. They tend to feel that time has sped up or slowed down, are unaware of physical needs or effort, and lose any separate sense of self. Flow is experienced as a kind of ecstasy in which a person feels supremely confident, calm, and clear about what is happening and what needs to be done next. In flow, performing at a high level is its own reward, yet doing so also gives a person a sense of being deeply involved in something larger than themselves. As a result, flow has been called the “science of happiness” and is often presented as a key to personal well-being. With regard to my faith, flow is an evocative concept. Is flow a phenomenon we were created to experience? Is it another way to describe finding joy in our callings? Reflecting specifically as a teacher who follows the Master Teacher and now a teacher educator, those times when I feel in a state of flow in the classroom present me with at least two ways to respond. The first is to credit my professional skills, training, and experience. Without discounting these, this response leads to pride. I get the glory. A better option is to credit God, the creator of language and learning, whose sovereignty and grace surely extend to my lesson plan, teaching environment, classroom decisions and interactions, and relationships with students. He gets the glory. I believe seeking and cultivating a state of flow in the classroom is a worthy goal—we as teachers live for these times!—but it must be a work of the Spirit if it is to be of eternal value. While I certainly desire to walk into the classroom well-prepared and attentive to my students, I do not locate my purpose or hope there, but rather seek to teach following Proverbs 3:5: “Trust in the Lord with all your heart and lean not on your own understanding.” The proper place of my own effort is seen in the words of Paul: “I strenuously contend with all the energy Christ so powerfully works in me.” Spiritually and professionally, the secret of flow is to walk by the Spirit. Colossians 1:29, New International Version. “The Aesthetic Classroom and the Beautiful Game” by Brad Baurain in the Journal of Aesthetic Education, volume 44(2), pp. 50-62, 2010. “Flow, The Secret to Happiness” by Mihaly Csikszentmihalyi. This video runs for about 20 minutes, has a downloadable transcript, and boasts subtitles available in 31 languages. “A Study of Flow Theory in the Foreign Language Classroom” by Joy Egbert in the Canadian Modern Language Review, volume 87, pp. 499-518, 2013. “‘That’s Why I Do It’: Flow and EFL Teachers’ Practices” by Christine M. Tardy, & Bill Snyder in the ELT Journal, volume 58, pp. 118-128, 2004. 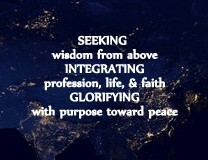 What additional connections do you see among teaching, flow, and faith? Narrate and reflect on a “flow moment” you have had while teaching. How did it feel? What helped it happen? What can you do to consecrate your classroom as a place for the Spirit to work, creating “flow experiences” for you and your learners? This is very interesting.Though I have not yet seen the video or read anything about all this I can fully endorse it from my own experiences, in retrospect. I had taught English Literature for 12 years before I was invited to teach English to theologians . Suddenly I found myself in The United Theological College (UTC) teaching English language to theologians, I was a bit dazed.They were ordained men and knew English though not of a high standard. UTC sent me off to the Regional Institute of English to get what help I could.There I was rebuffed by a young Englishman and a very smart Indian woman who asked me :Will you teach Wordsworth’s ” Daffodils” to pastors? They both kept referring to ESP and I had no clue.I only knew extra sensory perception as I had studied some psychology at college. Depressed,I went back to UTC and told them how I was treated by the two experts there. They said I should ignore them and carry on as they trusted me to do well. I went to the British Library and guess what ? A book just fell off the shelves and I caught it in time.it was ESP by Mackay and Montford !! I read it from cover to cover! God had intervened! I felt so blessed. Again, at a book shop I found a book lying in the dust and picked it up and it was the most precious book I ever read. God again ! After that I knew I was on the right track and my students endorsed my good teaching year after year after year! …for 26 years at UTC and now abroad at Bangkok and Dhaka, Bangla Desh.I have retired four times and might teach again. How can one leave out the “myth and mysticism” in the New Testament asks A.M.Hunter in his Introduction to the New Testament.It is that mythical and mystical element that sent me to TESOl and then to get invited to CELT and the rest is well known to you. I have been mocked by cynical English Language teachers even later in life and I feel sorry for them. But I continue to flow and will elaborate later at Baltimore! This entry was posted on February 3, 2016 by LEAPAsia in Bradley Baurain, favorite theories, flow.